Uncle Luke talks 2 Live Crew, Miami history, & exploding pipe bombs. Copy and paste this HTML code into a webpage to embed Episode 116 of The Cipher. Luther Campbell needs no introduction. Since starting his career as a DJ in Miami in the late 1970s, he’s been an innovator musically, culturally, business-wise, and even legally. 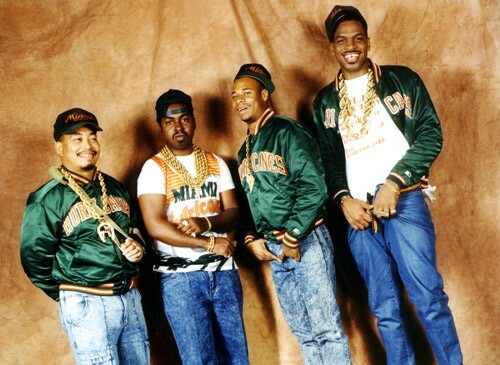 As the mastermind behind 2 Live Crew, Campbell guided the group’s change from a California-based conscious rap group into a pioneering Southern crew who popularized Miami bass music, and whose raunchy lyrics were often imitated. It was those same raunchy lyrics that would land Campbell and the group in repeated legal hot water. Luke fought and won legal battles not only for his group’s right to be, as his most popular and controversial record would have it, “as nasty as they wanna be,” but also for record stores’ right to sell his work. He also took a battle to parody songs all the way to the Supreme Court - and won. Simultaneously, he was running the fiercely independent Luke Records, which was for a time the largest black-owned record label in the country, and discovering acts like Poison Klan, Trick Daddy, and Pitbull. Luke has also been fiercely devoted to the children of his native Liberty City neighborhood, starting a popular youth football league, coaching teams himself, and even running for Mayor of Miami in 2011. His latest venture is a memoir (with Tanner Colby) that covers his wild life and times, as well as the history of his hometown. 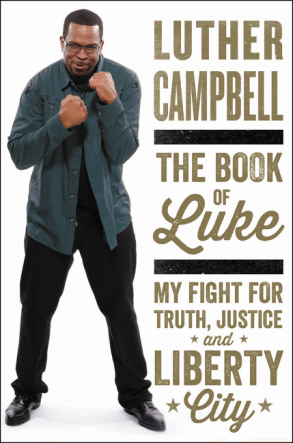 It’s called The Book of Luke: My Fight for Truth, Justice, and Liberty City, published by Amistad.